Water Resistant vs. Waterproof vs. Water Repellent Backpacks: What is the Difference? High-tech gadgets and precious trinkets need a certain amount of protection when out in the elements. 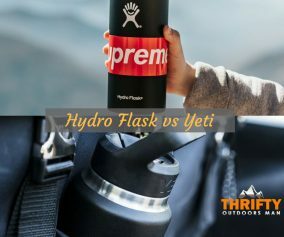 In order to obtain the uppermost effectiveness, you might be thinking of encasing everything you have in waterproof packaging or buying a waterproof hiking backpack. So you go to the store and pick up a water resistant backpack. Then the realization hits you. There has to be a difference, right? And if so, which one do you need? Here are all your waterproof, water resistant, and water repellent questions answered. Water resistant typically refers to the ability to shed water off for a set duration of time. The level of resistance (measured in the denier [D] unit) against water a backpack has deals with the materials used and how long they can withstand not absorbing water then getting soaked through. The fabrics used to make water resistant hiking bags is the main component. The common fibers are nylon, polyester, and cotton. 1 piece of nylon yarn, for instance, has the resistance of 1D. So if you purchase a backpack with 500D nylon, that means that each of the fibers has 500 nylon yarns. While you may be thinking that denser yarns would then lead to more water resistance, you are about to be surprised. The thicker the fibers, the wider the gaps between each of those fibers. Water molecules are quite small, so if you are caught in a downpour, it will not matter how dense your bag is. Water will still get through with a enough force. What truly increases the level of water resistance is a protective coating. These coatings are usually polyurethane (PU), polyvinyl chloride (PVC), thermoplastic elastomers (TPE), and to a lesser extent, Teflon (Zanoni, C., 2016). These cause water to bead up then slide off. In short, water resistant equals tightly woven nylon, polyester, or cotton-blended bag with a protective coating that resists the absorption of water for a set period of time. It is the weakest form of protection from water you can buy. A step-up on the level of protection from water resistant is a water repellent material; but you will often find that the two terms are used interchangeably. The difference between resistant and repellent properties is the level of hydrophobia. When water hits the material, it beads up then runs off, because the tightly woven fibers repel moisture. Generally, repellent material is more effective than resistant material due to superior protective coating—typically a fluoropolymer-based DWR —shielding the tightly woven fibers with smaller interstices. Think along the lines of GORE-TEX, a fiber membrane mainly used in wind and waterproof clothing. However, water repellent bags are still subject to a chance of water soaking through, particularly due to the construction of the bag. The zippers, for example, are oftentimes not water resistant at all. We will touch more on that later. 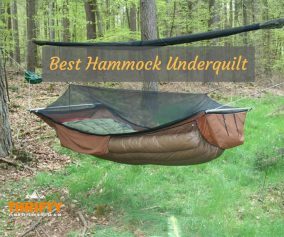 Simply put, waterproof denotes something that is completely impervious to water. No water gets in or out. Aside from water, due to the special construction, dust, soot, or dirt is also prevented from entering the bag. For this reason, waterproof hiking backpacks could also be called “dry bags.” Instead of being made of woven fibers, waterproof bags opt to minimize pores and may be entirely comprised of PVC or Thermoplastic Polyurethane (TPU). Additionally, waterproof bags require a specific construction method. For example, these bags do not have a typical toothed zipper. How Does Construction Differ Between Types? Water resistant and water repellent bags have some major differences when compared to pure waterproof bags. As a rule, beware of marketing that says “Made with 100% waterproof materials.” While it may sound like the backpack was constructed using all waterproof goods, if it has zippers, string stitching, and seams, it is not waterproof. Do not be fooled. Water resistant bags are generally constructed using traditional sewing techniques. That means punctures are made in the fabric. Water can seep in over time. Plus, a standard zipper has tiny spaces that, while you may not see them, will let in water when the bag is submersed or even encounters an unfortunate liquid spill. 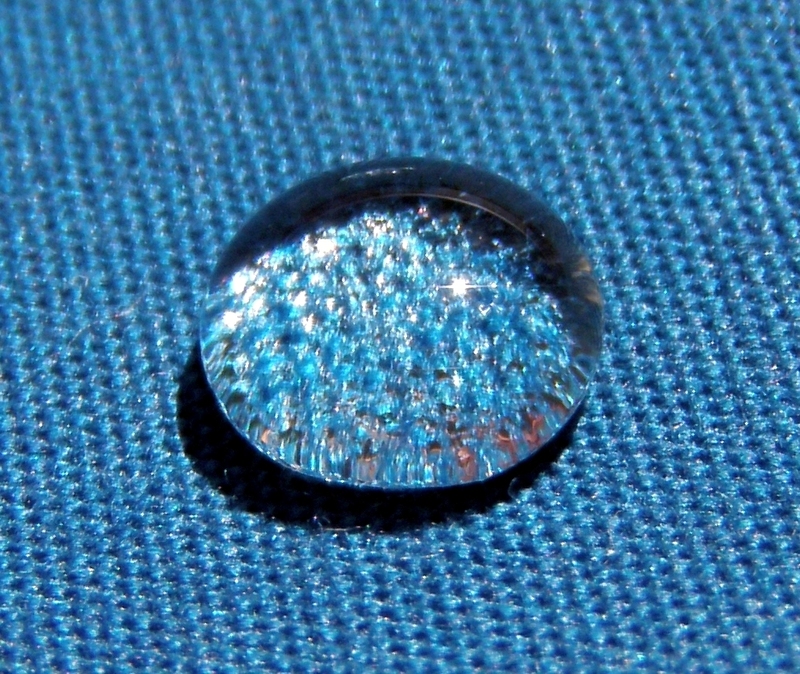 Water repellent bags may be comprised completely of hydrophobic plastic. These backpacks could have “waterproof zippers.” These zippers (if they are the real deal) require excessive maintenance, lubrication, and are irritatingly difficult to close. Both water resistant and repellent bags may try to increase protection by covering zippers with splash guards. That still does not mean these zippers are waterproof. Another feature that could come with a water resistant or repellent pack is a roll top to cover the zipper to the main compartment. Can I Make a Water-Repellent Bag Waterproof? Unfortunately, no. Unless you are a technician trained in the art of ultrasonic welding, you cannot make a waterproof bag. If you want to increase the water resistance of a bag you have had for a long while (as silicone sealants and PVC coating wears off after a while, you can purchase a “waterproof spray.” These sprays are the same that you would use on your hunting boots. The formula often consists of a small amount of PU, PVC, or TPE. When sprayed on a water resistant material, the coatings get into the tiny spaces to prevent water from seeping in. So now the question is which level of protection for water is right for you. Water resistant hiking packs are far more commonplace than waterproof ones. But that does not mean you do not have options! Consider your destinations. People who mainly use a backpack to cart around their technology do not need a completely waterproof bag. Going from building to building does not require the ultimate line of protection. 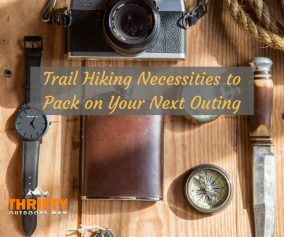 Nor does it require a hiking backpack with roll top. If you plan on mainly trekking through deserts or outback, the chances of being caught in a torrential downpour are minimal. That said, precipitation does occur, so a water repellent backpack would be a proper investment. Lastly, if you know you are going to a rainforest and may need to stand beneath a waterfall for several minutes, waterproof is a good decision. Furthermore, if you go boating, kayaking, or whitewater rafting, waterproof bags can save you from losing your valuables in the effect of capsizing. Timbuk2 Spire – Waterproof roll top over the main compartment, woven cotton canvas body, aluminum hardware. COR Waterproof Dry Bag – Roll top backpack that floats if dropped in water. Front zipper is water resistant and made with “high frequency welded construction” and 500D PVC Tarpaulin; internal water resistant side pocket. Chaos Ready Waterproof Backpack – Suitable for quick submersion; made from 500D PVC Tarpaulin; welded seams; 3 main compartments that are 100% waterproof and side pockets that are water resistant. SealLine Black Canyon Boundary Dry Pack – Water-tight storage; PYC-free urethane; face fabric is 300D nylon and the bottom is 400D nylon. Roll/Cinch top construction. No seams. As you can see, the differences in construction in water resistant, water repellent, and waterproof hiking backpacks varies. Upon figuring out what kind of construction suits your needs the best, you can then go on to search for the correct bag. After all that information, it is time for a recap! 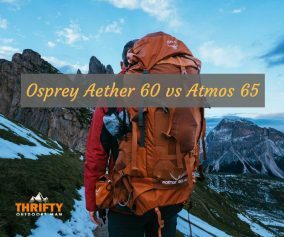 The terminology might all sound the same, but there are clear differences in water resistant, repellent, and waterproof bags. 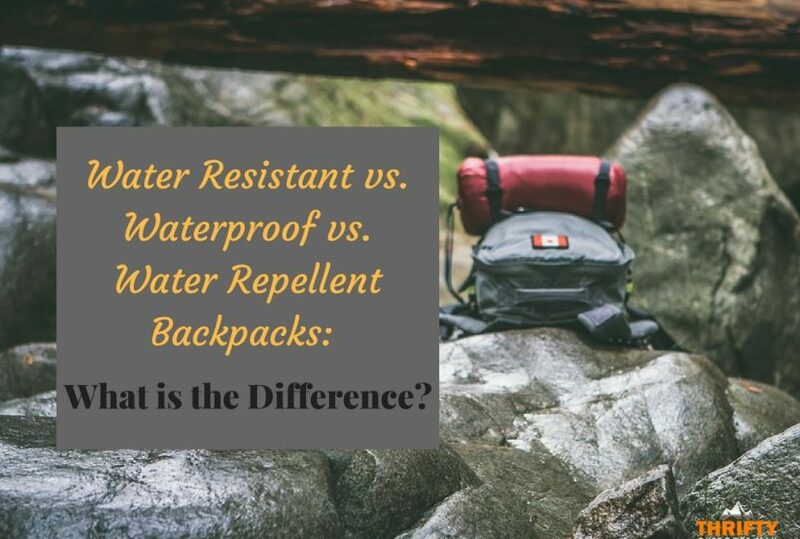 » Hiking » Water Resistant vs. Waterproof vs. Water Repellent Backpacks: What is the Difference?